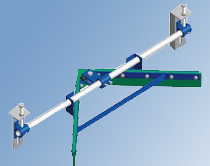 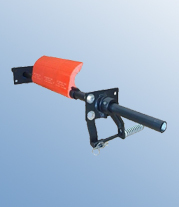 Internal belt cleaners are fitted in front of tail and take-up Pulley to prevent the materials which are falling on the top surface of return belt, from entering between belt and the pulley. 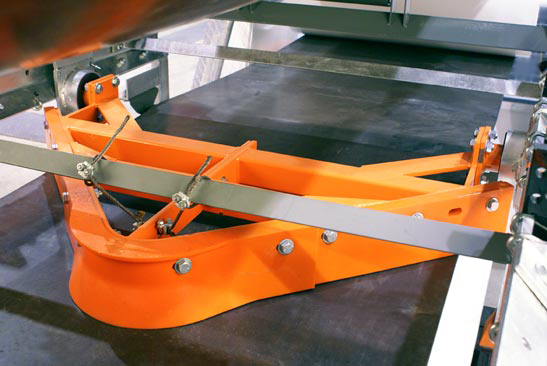 V-Plough and Diagonal type internal cleaner with it's unique arrangement is fitted with an automatic locking device, preventing the rigid cleaner parts from coming into contact with the belt and damaging it after the cleaner blade is worn away. 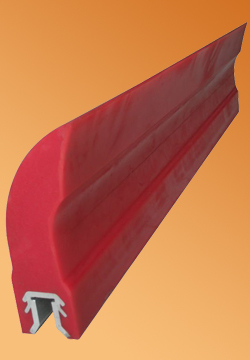 Blades are manufactured from high wear resistant polyurethane to provide long life.